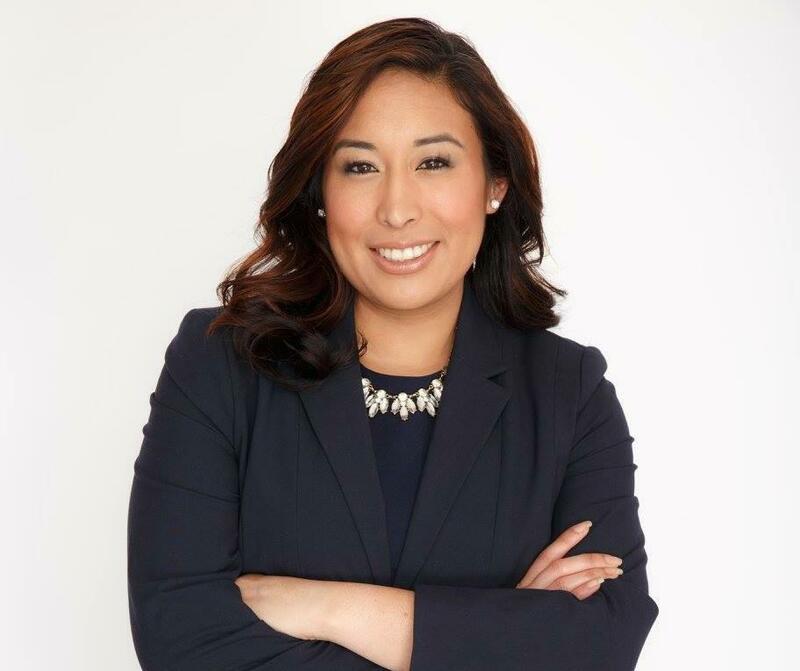 Dickinson’s liberal-arts education led former political science major Jamie Lopez ’12 on a path to her “dream job.” A first-generation scholar and the daughter of Salvadoran immigrants, she serves her hometown community as the deputy district attorney for the County of Los Angeles. Can you speak to how Dickinson’s useful liberal-arts education helped you along your career path? The well-rounded education I received at Dickinson College primarily helped me narrow my career path. Before attending Dickinson, I had no inclination or idea that I wanted to become an attorney. After taking courses in American studies, Latin American, Latino & Caribbean studies and political science, I confirmed that my future was in the legal field. Likewise, I took offbeat courses such as Shakespeare’s comedies, history classes, Russian history and statistics. The value of taking these courses forced me to improve my written communication and logic skills. I use all of the skills developed in my global education at Dickinson in my career. What was your favorite activity/organization at Dickinson? By far my favorite activity while at Dickinson was my study abroad experience. I had an abnormal experience, as I was able to study abroad for a year and a half. I attended the Norwich Humanities Program for one full academic year and The Washington Center program for one semester. It was because of my participation in the Norwich program that I was able to travel to different countries in Europe. Likewise, my participation in the Washington Center program exposed me to the political sphere that is Washington, D.C., helping me identify the wide range of career paths as an attorney. What jumps out as a great memory from your time at Dickinson? My fondest memory of Dickinson occurred in Norwich, England, where my flatmates threw me a big birthday party. All of my Dickinson classmates and my British friends attended that party. It was confirmation that I had definitely taken advantage of the study abroad experience offered by Dickinson. I had made genuine friendships, friendships that eight years later still exist. How do you stay involved with/support Dickinson? Why do you think it’s important? I have remained involved with Dickinson by volunteering my time for alumni panels here in Los Angeles as well as attending receptions and functions and informational sessions for the newly accepted students. My attendance at these events proves fruitful for the new classes. My background, growing up in an underprivileged community and the diverse experience in education I had at Dickinson—as well as exploring new places in the world while attending college—shows the opportunity that Dickinson really offers. How did you get interested in your work, and what about it excites you most? I am currently a deputy district attorney for the County of Los Angeles. I grew up in the underprivileged community of South-Central Los Angeles. I am a first-generation scholar, the daughter of Salvadoran immigrants. Through my personal experiences, I realized that I wanted my “dream job” to be something that served others—a job that at the end of my life I can be satisfied that I used the privilege of my education to make the world a better place. However, before I attended law school I had never met an attorney. I thought becoming an attorney was out of my reach. While at Dickinson, I met some inspiring professors, particularly Ed Webb, Karl Qualls and Doug Edlin. Each and every one of them mentored me and pushed me to not be afraid. It was with that nudge that I finally decided that becoming an attorney was the right fit for me. Specifically, I wanted to become a prosecutor. The mission of every prosecutor is to promote justice and to protect victims of crimes. I am blessed that I get to do just that in my own community. What excites me most about my job is that I am a trial attorney. When in trial, I get to stand up and introduce myself as the representative of the “People of the State of California.” I say that with the utmost honor and privilege. At every trial, I have the opportunity to convince 12 members of my community that they can in fact trust the government. As I said, this is my dream job. What does your current work entail? My current occupation is fast paced. As a deputy district attorney, I am first and foremost a trial attorney. As such I must prepare my cases, understanding my burden of proof under the law for each case, researching the law where need be, subpoenaing necessary witnesses and victims, following up with law enforcement on investigations, appearing in court for pretrial hearings, preparing for trial, including direct/cross-examination, and keeping my superiors informed on my cases. The most challenging part of my work is the volume. It seems there are never enough hours in a day to finish what needs to be done. This is especially true when in trial. Each case is its own universe. I dedicate myself to each case with a full heart. This can be physically and emotionally taxing. It is key in this profession to take time for self-care. What comes to mind as something unforgettable that you’ve done since you graduated? The most unforgettable thing I have done since I graduated was completing my first trial. It happened within two months on the job. It was the first time I selected a jury. The most exhilarating part was at the verdict stage; the jury returned a guilty verdict. It was at that moment I realized I had finally conquered my fear of public speaking. I had been able to convince 12 people beyond a reasonable doubt that the defendant had committed the crime. That moment is something I will carry with me for the rest of my life. If you could have dinner with anyone famous, living or dead, who would it be? If I could have dinner with anyone, it would be President Abraham Lincoln. I admire his life, his decisions and his judgement. He was intelligent enough to hold this country together in a time of chaos. I admire him most because his intellect and wisdom was self-taught. You just built a time machine: where and when do you go? I would travel to VE Day. I would want to experience what it was like to know that the war was over, and that the Nazi regime was defeated. Not a thing. I have a blessed life. I have a loving family. The challenges I have overcome, the mistakes I have made are a part of who I am today. While I am not perfect, I am proud of who I have become and the potential before me. For these reasons, I do not wish to change anything. Read more Alumni in Action profiles.